The new Acura ILX is a compact sport sedan with seating for five and plenty of luxury features for the price. What’s more? You don’t have to buy to enjoy everything it offers! 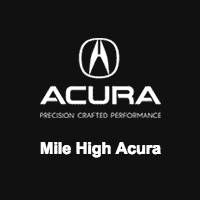 Mile High Acura has Acura ILX lease deals available for Aurora shoppers to browse. If you’re considering a new Acura, now’s the time to drive home in the model of your dreams. Check out our current offers below, then get pre-approved online! Want to add a few more features to your Acura ILX? Add a package upgrade! You can choose from Premium, Technology, and A-Spec®. Learn more about our Acura ILX lease deals, our new ILX inventory, or our used ILX inventory when you contact us today!